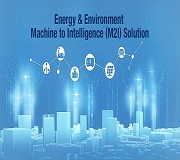 Taipei, Taiwan – [May, 2016] –For solar power, electricity and factory related applications which require a total wireless and Ethernet communication solutions, Advantech has released the ECU-1152 RISC-based Industrial Communication Gateway. Advantech ECU-1152 has an open platform design with Cortex A8 processor, six RS-232/485 isolated serial ports, two 10/100 Ethernet ports and operating temperature range of -40~70oC. With Linux operating system and open TagLink SDK, which enable to system integrators to develop applications which precisely fit their need. The ECU-1152 has been designed with wireless communication in mind as it supports 3G, GPRS, Wi-Fi and 4G through the MINI-PCIe interface. In distributed systems where wiring is an expensive or not practical proposition the use of wireless communication is a great cost saver. The concerns with wireless communication are the loss of data during a malfunction/disconnection and the cost of transmitting the data. To ease these concerns the ECU-1152 uses two distinct methods. 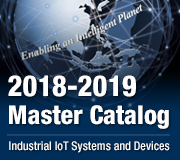 Method one is the use of an internal data logger buffer which automatically uploads the data to upper layer devices when communication is resumed. Method two is a more flexible configurable approach to sending data. Through independently configurable settings the ECU-1152 and server are able to adjust a variety of settings to determine how the data filesshould be sent. For example data can be zipped into a single package or sent at a specific time to save data costs. 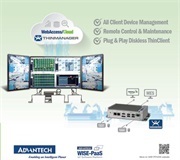 The ECU-1152 has built-in Advantech Taglink technology for communication protocol conversion and upper cloud connection. 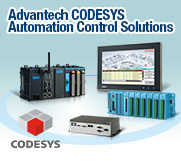 It supports Modbus/ IEC-60870 protocols and makes it easy to add more industrial protocols and makes it ideal for customers to quickly develop functions. 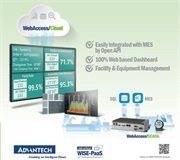 The software also allows connection with the Advantech WebAccess cloud server for data upward transformation from the gateway.